The perfect little white chapel wedding. Situated in the green space of Milner Park, the Milner Chapel offers a picturesque setting in the heart of Langley, British Columbia. Use of the chapel wedding bells. Please contact us for rates and availability at milnerchapel@gmail.com or 604-534-0006. 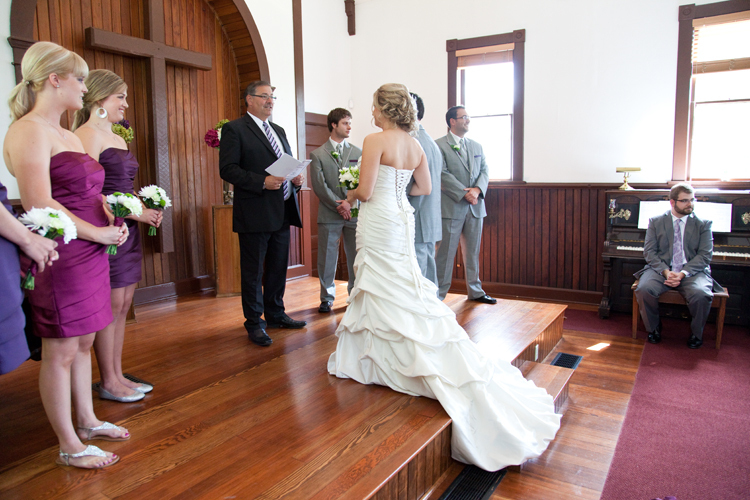 "Dot was so helpful, all our guests could fit and all our guests had a great view of the ceremony. We had great photos and my favourite part is the ringing of the bells at the end as we walked out! Beautiful place to have your wedding!!" We had a truly perfect day. "Milner Chapel needed very little. The pews were decorated with white bows and orchids, the two pillars by the alter were decorated with all white roses, carnations, chrysanthemums and lily with greenery. The signing table had a small bouquet of white as well."